On 11 October 2015, Dareen Tatour was arrested in Reineh near Nazareth. She was subsequently indicted at the Israeli Magistrate Court in Nazareth on 02 November 2016. She has been charged with “incitement to violence” (under article 144(d)2 of the Penal Code of 1977) and with “support for a terrorist organization” (under articles 4(b) and (g) of the Prevention of Terror Ordinance of 1948) in relation to Facebook and Youtube posts, as well as her poetry. She has been placed under house arrest until the end of trial proceedings. Under condition of her release on bail, she was initially banned from her home village of Reineh. She was in Tel Aviv under the supervision of two guards and with an electronic device on her ankle, and was prohibited from internet usage. As of July 2016, she was permitted to serve her house arrest in her family home in Reineh. The indictment alleges to connect Dareen Tatour with incitement through Facebook and Youtube posts which purportedly express praise, sympathy, and calls for “support of a terrorist organization.” The indictment uses these allegations rather broadly and does not specify the ways in which Dareen actually provided support to a terrorist organization. The indictment (section 5) refers to a poem attributed to Dareen, in entitled in Arabic “Resist, my people, resist”. The poem makes references to settler colonialism of Palestine, the extrajudicial execution of Hadil Hashlamon by Israeli forces, the live burning of Palestinian children (likely referring to Mohammad Abu Khdeir and 18 month Ali Dawabshe). Paragraph B-2 of the indictment states that “As of 11 October 2015 the accused’s Facebook account had 4,731 users which are defined as ‘friends’.” It has become common practice that such information is mentioned by prosecution, both within Israeli civil courts and military courts in the occupied territories. Such statistical data is routinely mentioned in the absence of direct evidence to suggest that posts by accused Palestinian individuals were in fact linked to acts of violence. They are arguably used in attempt to exaggerate the effects of the social media posts with the provision of irrelevant data. The indictment alleges that Dareen posted a Facebook post that encouraged intifada. Additionally, the indictment refers to a post with the image of Isra’a Abed from Nazareth, who was shot at Afula bus station by Israeli guards. The police witness in the court referred to Isra’a as a terrorist – Isra’a however, was not convicted of any charges relating to carrying out an attack. In their dissemination, the images in fact came to symbolize the extrajudicial shootings of Palestinians in the absence of evidence that they are posing a viable threat. The indictment also refers to a profile picture with the caption “I am the next martyr” which was widely circulated by Palestinians following the live burning of Muhammad Abu Khdeir and extrajudicial executions by Israeli police forces. 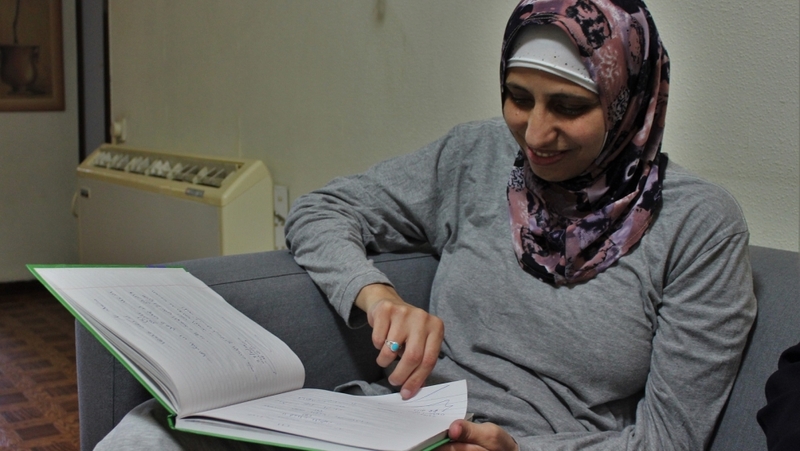 In the court trial, the prosecution also alleges that Dareen read a poem to commemorate the 49 victims of a massacre of Kafr Qasim in 1956, as well a poem on a Women’s Day event in Nazareth. In the charges against Dareen for her poetry and expression, the indictment severely disregards her internationally recognized human right of expression. Article 19 of the Universal Declaration of Human Rights states that “Everyone has the right to freedom of opinion and expression; this right includes freedom to hold opinions without interference and to seek, receive and impart information and ideas through any media and regardless of frontiers.” Article 19(1) of the International Covenant on Civil and Political Rights states that “Everyone shall have the right to hold opinions without interference.” Article 19 (2) also states that: “Everyone shall have the right to freedom of expression; this right shall include freedom to seek, receive and impart information and ideas of all kinds, regardless of frontiers, either orally, in writing or in print, in the form of art, or through any other media of his choice.” Although Freedom of Opinion and Expression is guaranteed under these international human rights conventions, the Israeli authorities continue to violate these internationally codified rights through the criminalization of Palestinian expression through social media outlets. The arrest and detention of Dareen and other Palestinians take place in the context of collective punishment, punitive measures and repression of Palestinians.